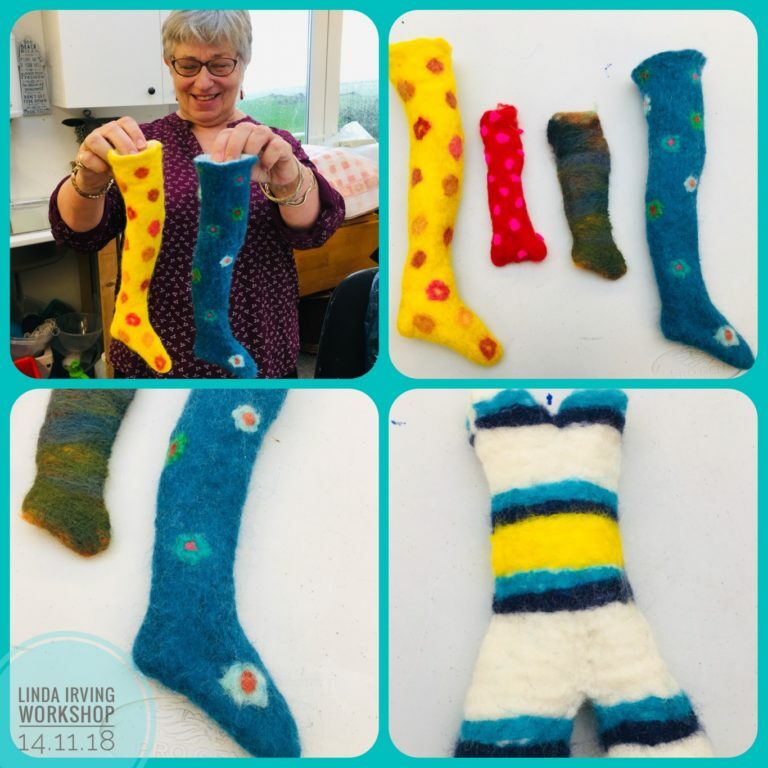 I had such a lovely day with Morven who had made little Christmas stockings at home which she was not entirely happy with (see two little stockings between yellow and blue new ones!) so she booked in for a days felt making. We redesigned the resist and cut the shape from plastic then felted so that the stockings were 3D. She was thrilled with the outcome! We also felted a little 3D bathing suit for her next project!